Federation is a very popular Skype for Business feature. Essentially, federation means that your tenant allows people belonging to other organizations connect to tenant users via chat and calls. For example, if my tenant is federated with Microsoft’s tenant, I can chat and call Microsoft users. Being able to reach outside the boundaries of your tenant is a big thing for a communications client. Teams was slow to make this happen, but now External Access (the name Teams uses for federation) works well if you enable the feature in your tenant by turning it on in the org-wide setting section of the Teams Admin Center. You can also set up a list of allowed or blocked domains. If no list exists, any user in another Office 365 tenant can connect to users in your tenant. External access is not the same as guest access. It’s much more limited (think chats and calls) whereas guest access can allow someone to have extensive access to tenant resources (groups, teams, sites, individual documents). Along with the ability to chat and call (on an individual basis), external users can see presence information for other people. And most important, they can search your tenant directory to find people. An external user can’t browse your directory. Searching means that they can input an email address (or SIP address) into the search box to instruct Teams to look up the name in the tenant owning the domain name part of the email address. And if a match is found, Teams launches a 1:1 chat. The trick is to have Teams search externally (see below). If you don’t see this option, you know external access isn’t enabled in your tenant. Once the chat starts, you’ll discover other limitations. Most importantly, you can’t share files with an external user (you can upload a file to OneDrive or another sharing site and then send a link). Somewhat less critically, you can’t use emojis or reactions (like) in a response unless both tenants are configured in “TeamsOnly” mode. Both the iOS and Android clients support emojis in their native keyboards and it’s possible to insert them with the desktop client using the Windows + ; (Windows key plus semi-colon) combination. Fewer text formatting options are available too. Teams gives a visible indicator that you’re using a federated communication by displaying the address of the external user in the title bar. Apart from these restrictions, a chat with an external user is much the same as with a tenant or guest user. Apart from a potential lack of emojis, it’s as easy to communicate externally with Teams as it was with Skype for Business. 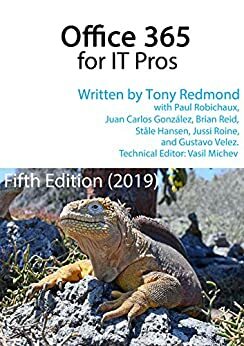 For more information about Teams, read Chapter 13 of Office 365 for IT Pros. Teams meetings are covered in Chapter 16. Things become a bit messy when you want to chat with a person that is also a guest with extensive access to your tenant resources (groups, teams, sites, individual documents). You have two options then, either use full chat options but the guest has to access your tenant to read and reply to the chats or chat with the external user (which is the same person) with limited chat options. That’s true. However, if the person you need to chat to is a guest, they’ll be found in the first search (internal) and you wouldn’t need to look externally. I bounce between both options, depending on which tenant I am connected to at the time.